Context: a Florida roof and gutter is to be replaced, however the fascia wood was rotten and replaced. The plan is to be covered by aluminum fascia and has a drip edge. When does it make sense to paint the wood boards? Does it make sense to paint if Aluminum fascia is to be nailed to the board? The goal is to have the building ready for the gutter craftsman. Exposed wood must always be sealed in some fashion unless it's chemically treated or of a species that's rot-resistant (cedar, teak, etc.). Even then it tends to preserve the aesthetics of wood to paint, oil, or varnish it. Metal fascia is commonly installed right over "subfascia" (raw SPF 2x6 lumber). If everything is installed correctly it should never see water. Not the answer you're looking for? Browse other questions tagged roofing gutters fascia or ask your own question. Is caulk a good temporary fix for a gash in fascia board? 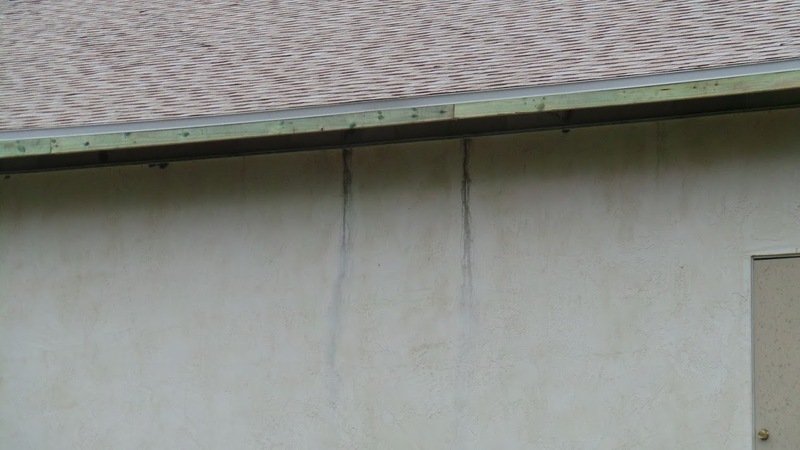 How can I temporarily fix rotted soffit, fascia, and vented panels? Retrofitting drip edges with a wooden spacer? Replacing fascia board: what kind of contractor?